Rajman Saroj from Delhi, B.E. - B.Tech Graduate. Working for : MYK ENGINEERS POWER SOLUTION PVT.LTD. Currently working as ELECTRICAL SITE ENGINEER at MYK ENGINEERS POWER SOLUTION PVT.LTD. ELECTRICAL DESIGN AN.. AUTO CAD 2013 ELECRICAL CONSRUCTON.. ELECTRICAL SITE ENGI..
are one of expert skill area's of Rajman Saroj . 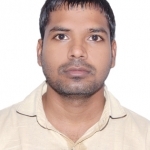 Rajman Saroj is working in Engineering Project Mgmt./Site Engg./Civil Engg./Construction industry.